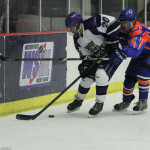 It was a tough few days for Weber State University Ice Hockey Club during the Beehive Showcase as they ended their winning streak with a 2-2 tie to Boise and a 3-5 loss to Arizona. The starting line-up for Thursday’s game against Boise had Weston Maughan in the net with Zan Hobbs, Holmes and Dax Hobbs on offense and Phill Jennrich with Landon Aylor on Defense. 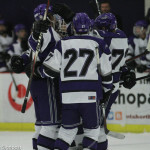 Quarnberg with an assist from Fox and Bohin made the first goal of the night, putting Weber in the lead. Boise came out to tie up the game in the second and again in the third, sending the game into overtime. 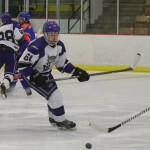 Fridays game against the fifth-ranked team in the region, Arizona State, began with the same line up, save Maughn, who was replaced by Lucas Thatcher in the net. 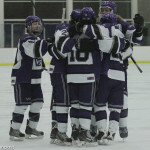 Within the first 10 minutes of play, Weber made two goals from Lakoda Coleman and Hobbs. This would be the last lead Weber would have. Nate Kiven Scored for Arizona within the first four minutes of the second period, which was followed by another power-play goal by Ross Bowden at 14:30 and once more by Scott Farr, sending Arizona to the lead. Weber scored one last time for the night to tie it 3-3. This was quickly followed with another goal by Arizona. 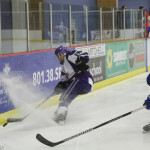 Weber took their goalie out of the net during the last minute of the third period in an attempt to blitz into overtime. Arizona took advantage of their open post, scoring again and ending the game 3-5.